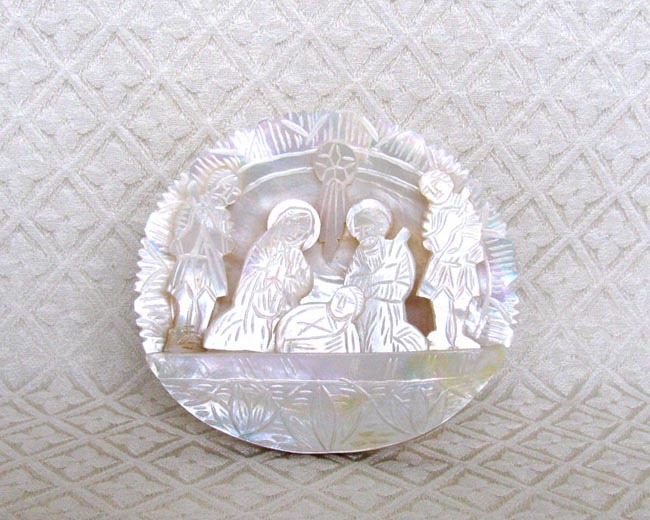 This Nativity uses a whole mollusk shell as a background, with hand-carved mother-of-pearl figures affixed to the background. A piece of shell is hinged to the back so the piece can stand. The Nativity was crafted in Bethlehem, Palestine. It measures 4.5 inches across. Mother-of-pearl is the term for the pearly internal layer of certain mollusk shells.